The different problems that can arise from having poor oral health including impact on athletic performance. I read recently with interest a study published in the British Journal of Sports Medicine  which concluded that oral health is an important element of overall health and well-being and that poor oral health impacted negatively on athlete’s performance at the 2012 Olympics. It may sound surprising as you wouldn’t necessarily associate oral health with athletic performance. 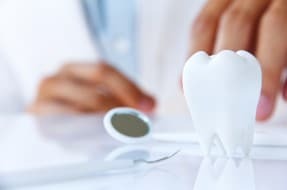 As a dental negligence lawyer I frequently act for patients who have suffered adverse effects from the failures by their dentists to manage and treat problems with oral health and have therefore seen the impact this can have in ways which are not always obvious. Poor oral health is often a result of a failure to regularly brush teeth and eating an unhealthy diet. However, there are also cases where people have taken care of their teeth to the best of their ability and their dentists has failed to carry out adequate checks or advise them of problems and that treatment was required which has led to a decline in oral health. Therefore if a dentist feels that a patient does have poor oral health, a dentist should take the appropriate course of action and administer oral hygiene advice, suggest a referral to a specialist and suggest products that can assist. The study conducted by the British Journal of Sports Medicine reported that athletes with poor oral health found that this impacted on quality of life, on training and ultimately on their performance and could mean the difference between winning and losing. It is not just athletes that will be impacted by poor oral health, as anyone can experience problems from poor oral health. For example, having poor oral health is a risk factor to other diseases such as heart disease and type two diabetes. A person suffering from poor oral health may also find that they suffer from loss of sleep due to dental pain and this can have an impact on work life, necessitating time off work or school. It can also affect social life in that a person may be restricted in their food choices and may not be able to socialise as often. It is important that dentists assist patients in maintaining good oral health and that dentist provide adequate treatment in the event of problems to avoid the numerous problems that can follow from suffering from poor oral health. The Dental Negligence Team, have settled many cases were dentist have failed to provide adequate treatment or have failed to detect decay. Please see our recent cases section, which detail the types of cases that we have settled for our clients.